We know our ambitious undergrads are goal-setters, but it’s pretty special when we see their career dreams unfold before they walk across the stage at Commencement. Rising senior Jeanette Lam is someone we’ve profiled before because she’s a perfect example of hard work that pays off in a big way. Her latest project as a young filmmaker has now been noticed by a national news outlet. USA Today published a story focusing on the topic of her documentary short, “The Last Hands in Zellige,” which she shot and produced in association with Round Earth Media. 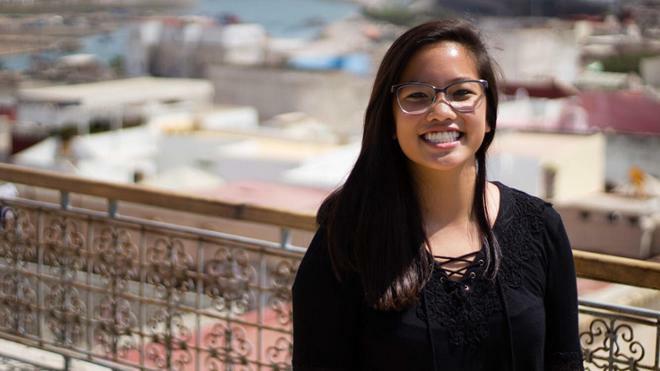 Lam spent several months in Morocco last fall through a field-study program and researched the traditional, yet endangered, art of making mosaic tiles. Her finished product is now gaining attention, and we couldn’t be more proud of her. Congratulations, Jeanette! You’ve already accomplished so much and we can’t wait to see what you create next.